When Beck Holiday lost her father in the North Tower on 9/11, she also lost her memories of him. Eighteen years later, she's a tough New York City cop burdened with a damaging secret, suspended for misconduct, and struggling to get her life in order. 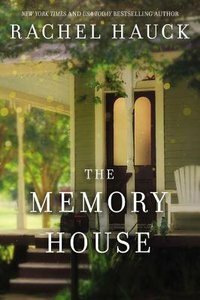 Meanwhile a mysterious letter arrives informing her she's inherited a house along Florida's northern coast, and what she discovers there will change her life forever. Matters of the heart only become more complicated when she runs into handsome Bruno Endicott, a driven sports agent who fondly recalls the connection they shared as teenagers. But Beck doesn't remember that either. Rachel Hauck is a multi-published author living in central Florida with her husband, Tony, a youth pastor. Rachel is the current president of the American Christian Fiction Writers.